Attend Rūnanga Executive meetings when requested by the Rūnanga Executive. Jo is Ngāi Tahu descent on her Fathers side, of Chief Te Huruhuru and Te Atiawa descent on her Mothers side, who is a Heberley. Jo has five children, one of whom is from her extended whanau through a permanent parenting order, and has one moko. 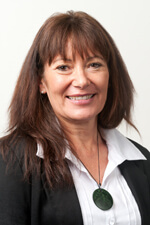 Jo was appointed as Te Rūnanga o Waihao Representative to Te Rūnanga o Ngāi Tahu in February 2013. Jo has been involved in a number of voluntary organisations over the years and is a passionate advocate for Māori rights, wellbeing, education, environment and economic development to ensure a positive future for whānau. She was a member of the Waihao Executive Committee for a number of years and previously held a Board position on the Canterbury West Coast Brain Injury Association. Jo currently chairs the Board of Piki Te Ora, a Health Centre in Christchurch, and is on the Board of Te Rūnanga o Waihao Holdings Company. Jo also works as a Union Organiser. This has provided Jo valuable insight and knowledge regarding the current business and economic environment. Juliette is Ngai Tahu descent on her mother side and whakapapa’s to Waihao Marae through the Thomas line. Juliette’s immediate whanau are all involved with Waihao Marae, her mother, Sue Eddington and older sister Sara are current members of the executive committee and her Father Maurice Eddington works in the kitchen and as caretaker. Juliette is married to Jason and has two sons, Thomas and George. 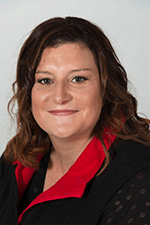 Juliette was appointed as the alternate Waihao representative to Te Runanga o Ngai Tahu in November 2016, In the past she has served on the executive committee and is a current member of the Waihao Holding company. Juliette is also involved in the community, she serves on the board of Victoria Trust, a charitable trust that provides rental accommodation in a supportive way to people experiencing Mental illness, She is involved in Creative corner Early Childcare centre and represents Waihao on the South Canterbury District Health board Maori Health advisory committee. Juliette spent the last five years as Kaiwhakahaere at Arowhenua Whanau Services, resigning recently to take on the General Manager Role at Timaru Mental Health Support Trust.